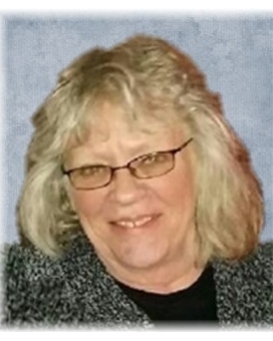 Linda Marie Brown, 67 of Zanesville died at 7:05 PM Wednesday, November 14, 2018 at the Genesis Health Care CCU following complications from surgery. She was born on Monday, October 15, 1951 in Zanesville OH the daughter of Raymond "Bud" V. Arnold and Virginia E. (Bryant) Arnold. Linda was a member of St. Nicholas Catholic Church, and was the manager of the Steak & Stein Restaurant. She had also been employed at the VFW and the PNC Bank. She is survived by two sons; Alex (Nicole) Brown & Andrew Brown; 4 sisters; Dee Dee LoVallo, Mary (Jeff) Hall, Amy (Terry Fiala) Mesre, Joanna (John Callow Sr.) Arnold; numerous nieces, nephews and great nieces & nephews and also many cousins & friends. Linda was preceded in death by Parents and a daughter Sara Elizabeth Brown and the father of her children, Jim Brown. Visitation will be held from 1:00 PM to 3:00 PM on Monday, November 19, 2018 at the Bryan and Hardwick Funeral Home with funeral service being held at 3:00 PM. Private burial will conclude at a later time at Mt. Olive Cemetery. In lieu of flowers, memorial contributions can be made to the Linda Brown Memorial Fund at any PNC bank. The Bryan & Hardwick Funeral Home, 2318 Maple Ave. Zanesville is in charge of the arrangements. To share memories and condolences with Linda’s family please visit www.BryanHardwickFH.com.